Today, wedding chair covers for sale come in an astonishing selection. No matter what design you have in mind, you can bring your ideas to life using the abundantly available chair covers and sashes. A wedding is a sea of chairs with a few islands of tables, so it's a good idea to pay specific attention to the décor of these furnishings in particular. Since choosing a colour scheme for the wedding may present an issue, we would like to offer some colour ideas for different seasons that may help stimulate your creativity. 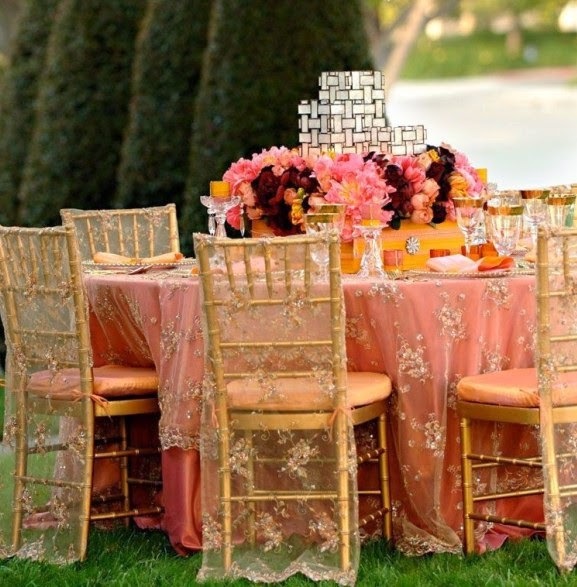 Summer theme: Summer is the most popular time for weddings, so let's discuss its colour theme first. Summers are similar in most parts of the world: the leaves and grass are lush green and the trees are blooming or have fruits. If you want your wedding to be decorated in the shades of this beautiful season, then you may want to use some of the following colours: vivid yellow, red, lime, sky blue, and lilac. 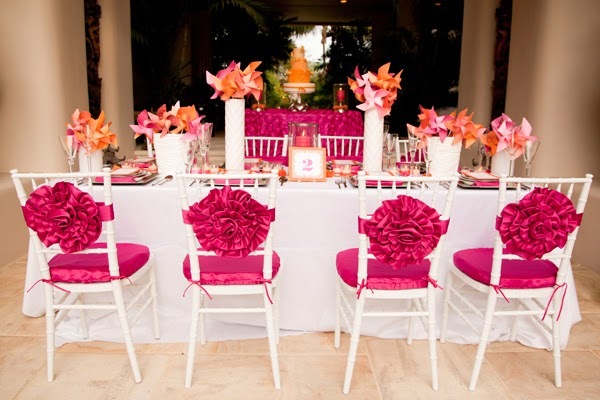 For the summer-like décor, opt for wedding chair covers for sale that come in strong and "undiluted" colours. Spring theme: The second most popular season for weddings is spring. There are no fruits on the trees yet, but wild blooming is everywhere and the air is filled with fragrant aromas. Spring is in the air! 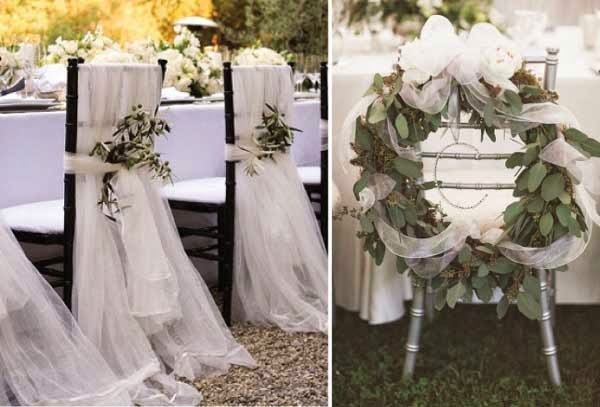 So, why not make your wedding theme airy and gentle as well? The colours to consider include: light pink, lilac, lime, yellow, champagne, and white. For the spring-like décor, these shades need to be tender pastel rather than strong. Fall theme: Fall is the most vivid time of year with a true riot of colours. The sky is piercing blue, the tree crowns are yellow and red, and there are colourful fruits and veggies all over the place. The following colour scheme for wedding chair covers for sale is dedicated to this beautiful season in particular. The suggested complementary shades are royal burgundy, navy, and emerald. We can add more class to the overall look using gold and silver. The tender champagne and taupe can serve as the main colours. Winter theme: Winter is the time of fairy tales, snowflakes, and myriads of presents. Why not turn a winter wedding into a fairy tale? The colours to use include: snow white, bright red, sky blue, champagne, silver, gold, navy and burgundy. These colours probably need to be bold rather than pastel. Wedding chair covers for sale come in a wide range of colours that will allow you to design any of the aforementioned themes, or use other great pallets, including purples, pinks, oranges, burgundies, and blues. 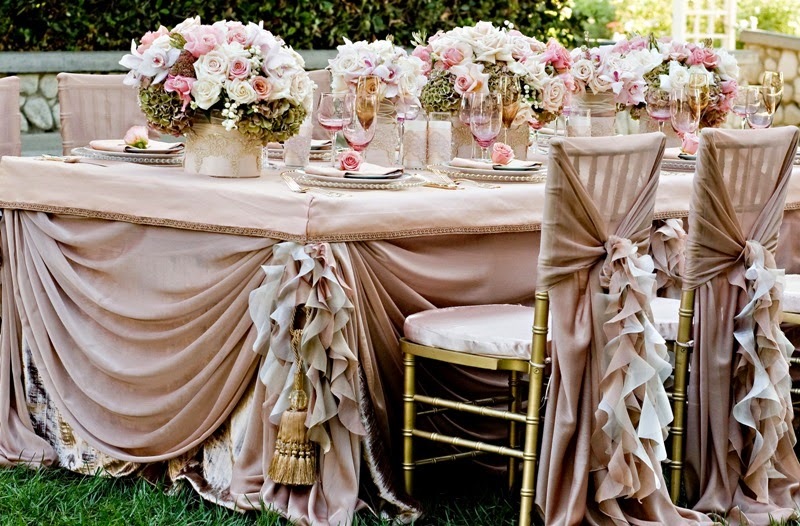 One of the popular ideas is to use subtle and tender colours for the chair covers and tablecloths (pastel pink, aqua, taupe, cream, champagne), and use bold colours for sashes and accessories (navy, burgundy, gold, silver). Get more ideas, and you will be able to unleash your imagination and make your special day truly unique.